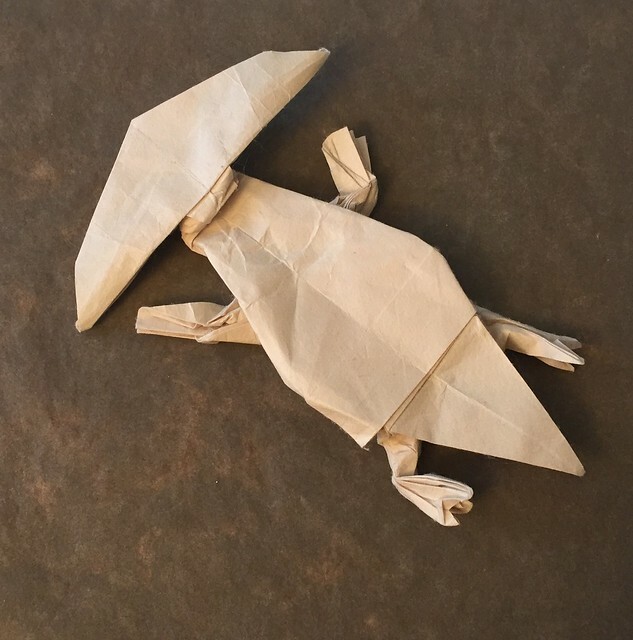 The Origami Forum • View topic - What have you designed lately? 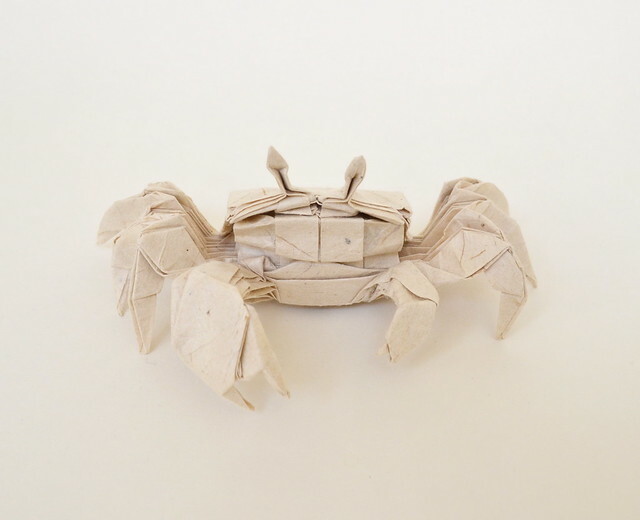 What have you designed lately? Re: What have you designed lately? Merlyngami - That’s awesome! I love how simple but expressive it is. It is very cute, and I love the shaping of the wings. Overall, I’d say it’s quite a unique and fun model. I’d love to see diagrams! Just one square of folded cellophane that s folded into a springy shape. Cellophane resists folding flat and this video takes advantage of that characteristic. 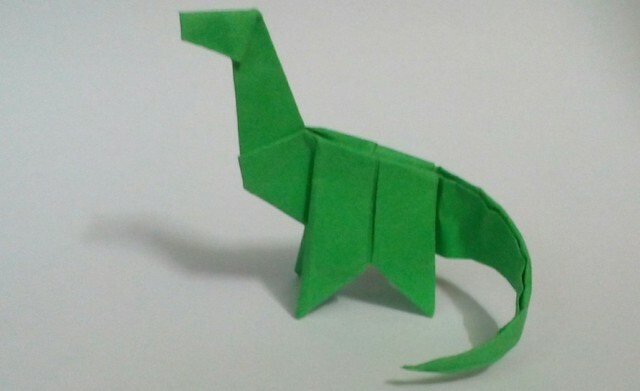 I designed this reasonably simple diplodocus. It's from a fish base. It has one easy closed sink, which probably bumps up the difficulty a little, but it's not that hard. 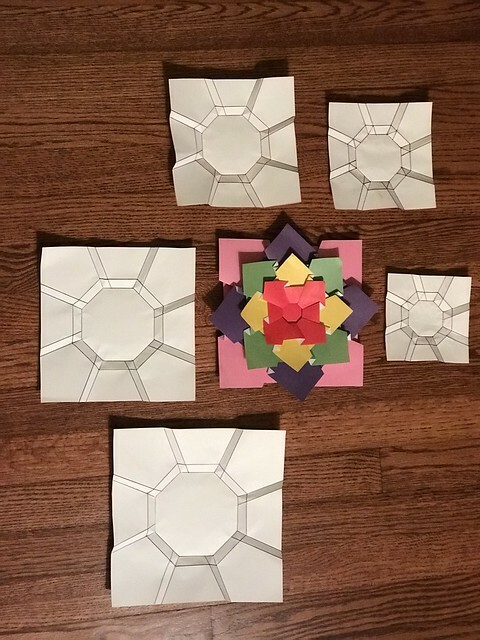 I'm going to try and diagram it for origami christmas book. This is a deer-woman I designed for my grandmother as a Christmas gift. 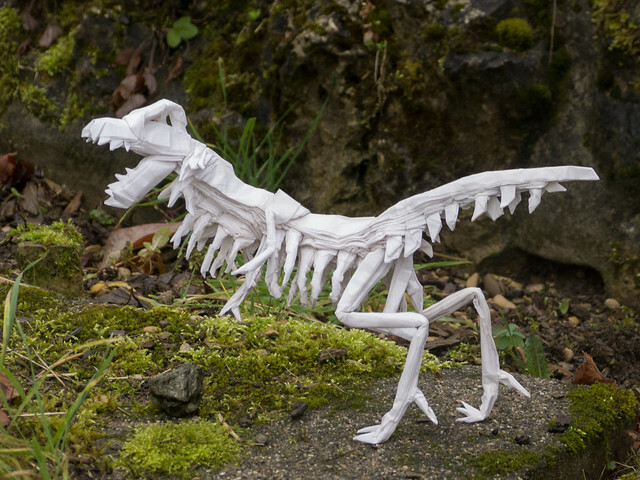 It's folded from one approximately 24" square sheet, with no cuts. In future folds, I might play around with how I use the corner of the paper that, in this fold, creates the deer tail/tail of the dress. I think it's neat, but I'm not sure if it's the best dress I can make from it. Anyway, after about two weeks of working on the design, I'm very proud of the final product! sable7 wrote: This is a deer-woman I designed for my grandmother as a Christmas gift. I really like your style and your ideas sable7 ! Last edited by Gerardo on December 10th, 2018, 4:55 pm, edited 1 time in total.